API - Send is triggered by the POST /automationtemplates API call. Event Triggered - Send is triggered as the result of a contact's behavior or a change to a contact's attribute. Recurring Schedule - Send is triggered by a recurring date and time interval. Any of the above sending methods can be filtered by audience rules. 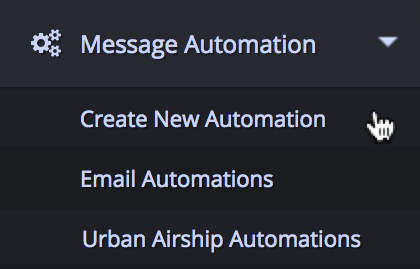 Navigate to Message Automation › Create New Automation. Fill out the fields to create a new automated message. Message name - The friendly name that will be referenced in the system. Message key - The name used to reference the message in the database for API calls. Tags - Tags are useful for grouping messages together (similar to folders) when building audiences and filtering message reports. Classification - Give the message a classification to comply with SPAM laws. Promotional - For subscribers that gave permission to receive a promotional message. Note that promotional messages will only be sent to contacts that are both valid and have a subscribe status of subscribed. Transactional - For subscribers that are receiving the message based on an order. Transactional messages can be sent to anyone who is valid regardless of their subscribe status. If your account has multiple sending transports, be sure to choose the appropriate transport for the designated message classification. Transactional classification should only be set when you are certain the message meets your local legislation for what is defined as a transactional message. Channels - Choose the supported channel to send the message. 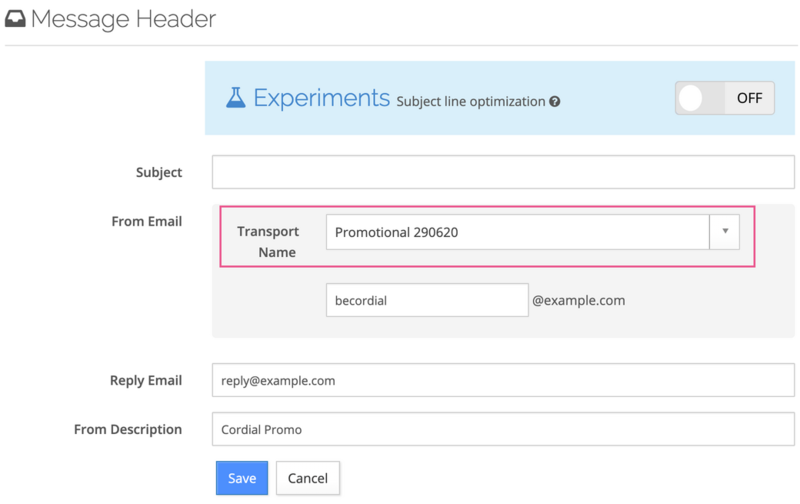 Automated messages currently support the email channel and the mobile push channel (via an integration with Urban Airship). Additional channel s(web & SMS) will be available soon! Create message content for the email channel. 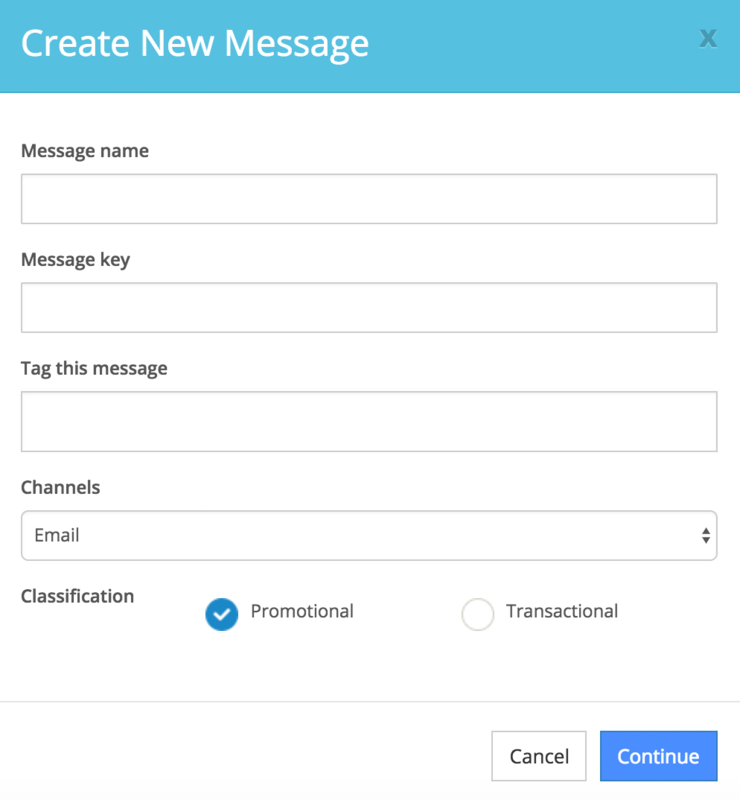 Create message content for the mobile push channel. Note: If you are receiving the error "Internal Render Error", when trying to send test messages, it may be a result of badly formed links in your HTML. Be sure to check all links for any unnecessary spaces or characters in your urls. Before a message is published, it is labeled as a draft message and sending methods will be disabled. After completing the message headers and message content, the message can be published by clicking the Publish button. The published message is the "live" version that will be sent when a sending message trigger is met. 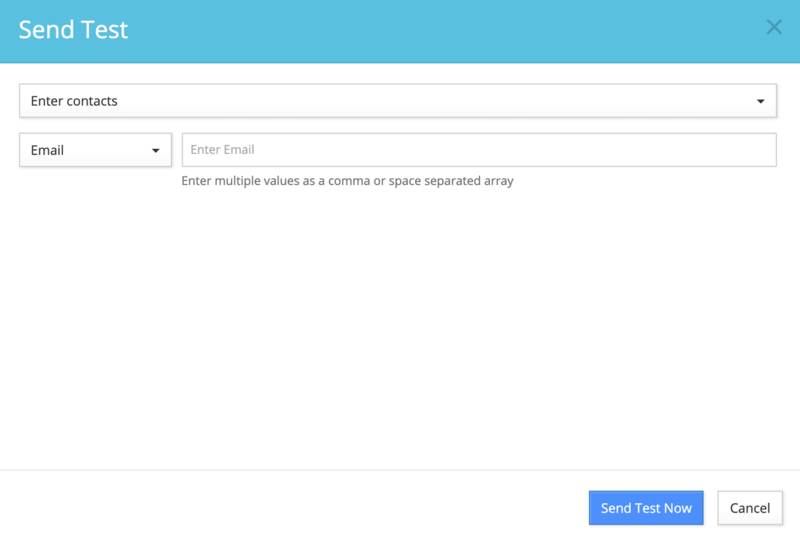 You are able to work on another draft and send tests without affecting the published version. Once you are happy with the draft, you can click Publish. The current published version will then be saved to the Past Versions tab and available for recall. Learn more about content versioning. API - messages that are send via an API call. Event Triggered - messages that are sent from a event trigger. Recurring - messages that are sent on a recurring basis. Under the settings section you can configure settings for Goals and Tracking as well as Delivery Settings. Choose whether the aggregate message performance stats will be rolled up daily or hourly. After a message has been sent you can view message aggregate performance under the Message Performance tab. Note: Options for daily and hourly stats aggregation can only be selected for Event and API Triggered message sends. Recurring message stats are always aggregated at the scheduled interval. Choose whether to enable or disable link tracking for all links in the message. You are able to disable link tracking on individual links using Smarty. During account creation, your account is set up with a sending transport. If your account has multiple sending transports, you will have the option to choose the transport for the message. To maintain healthy delivery, be sure to choose the sending transport that matches the classification that you set for the message (promotional or transactional). In the next article learn about content versioning.